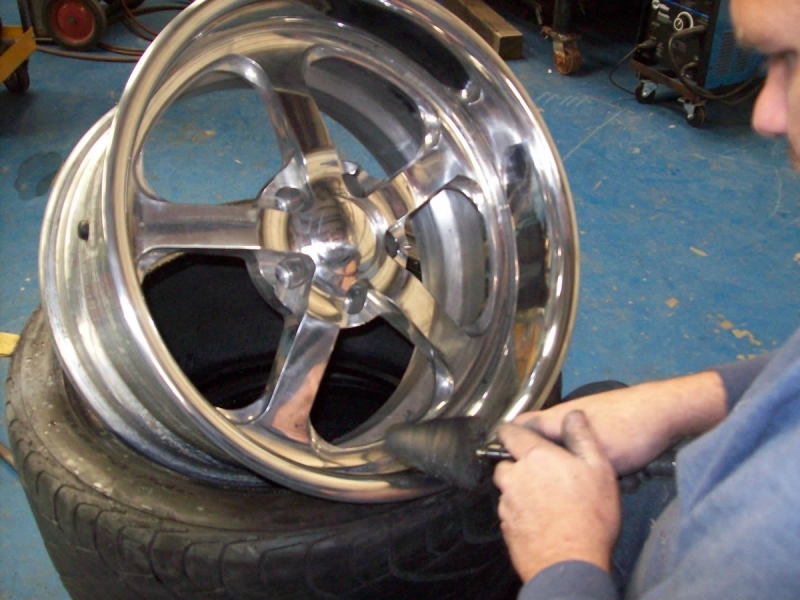 We at Select Motors are often approached by customers who recently have purchased a vehicle with driveability issues or by classic car owners who have a vehicle that has issues that have stacked up over the years. Either way, they usually have a hit list of problems to be solved. 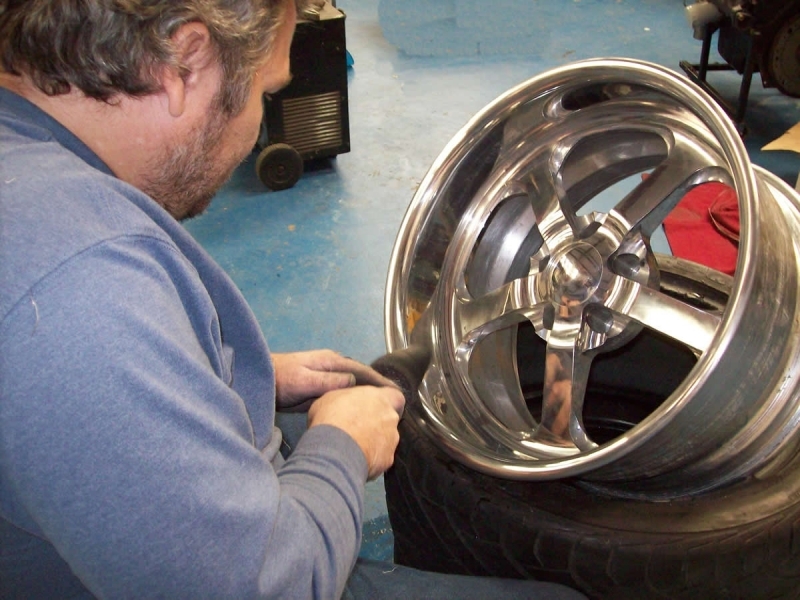 We solve classic car driveability problems. The owner of this 1972 Camaro gave us a hit list of driveability problems he was experiencing. 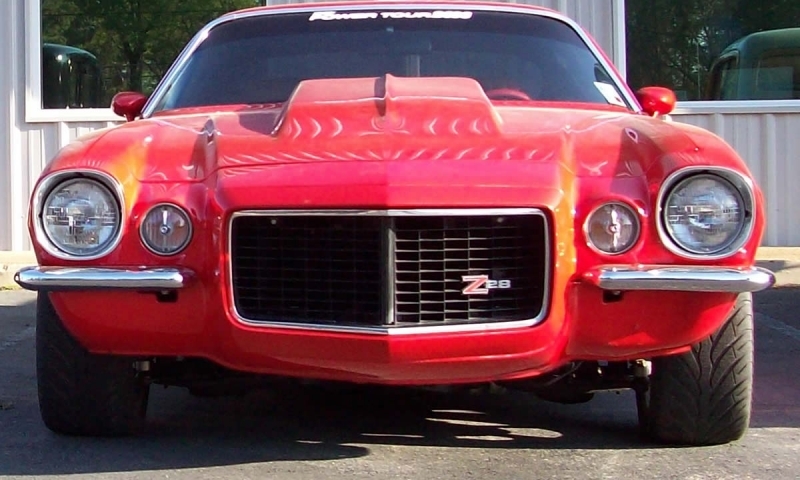 Traction issues were first on the list for this 1972 Camaro. With a 502hp 502 cubic inch crate engine, this car was blowing the tires away and climbing sideways at highway speeds. 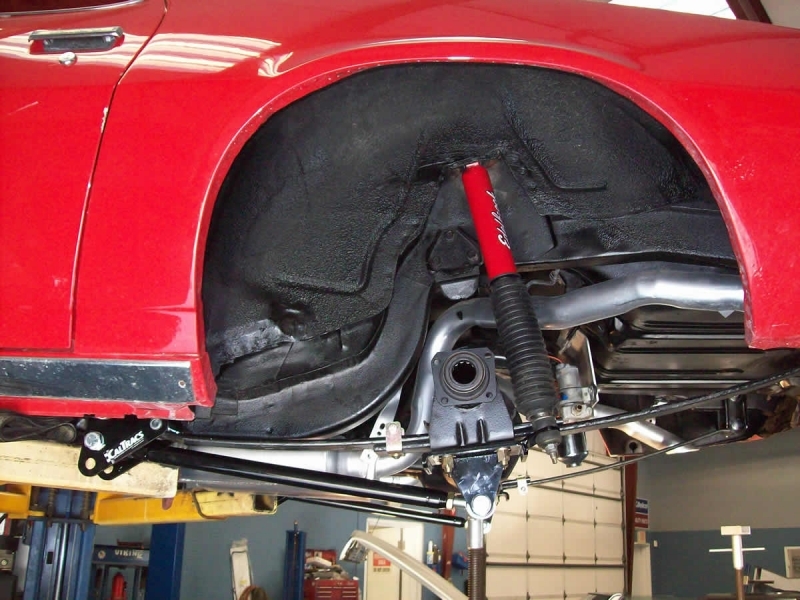 A larger drilled and slotted brake system was on the hit list for this car. 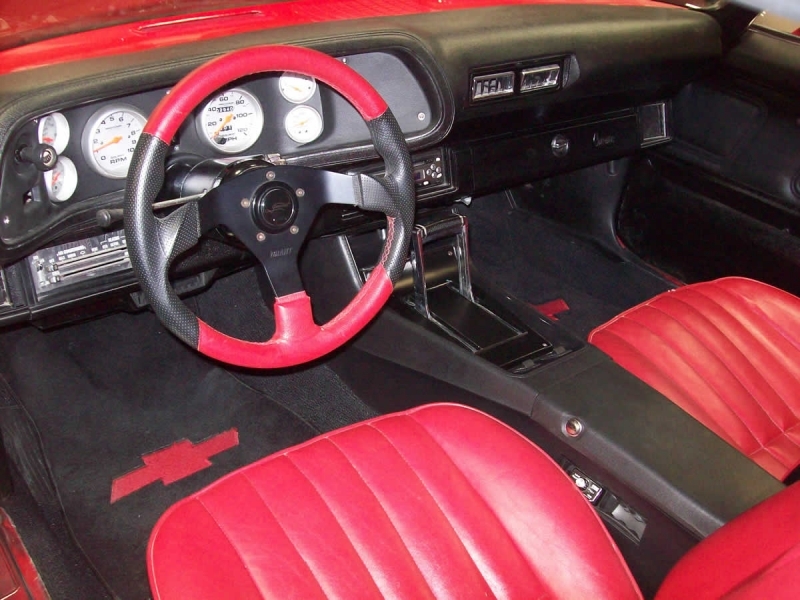 The interior had a nice custom gauge cluster. 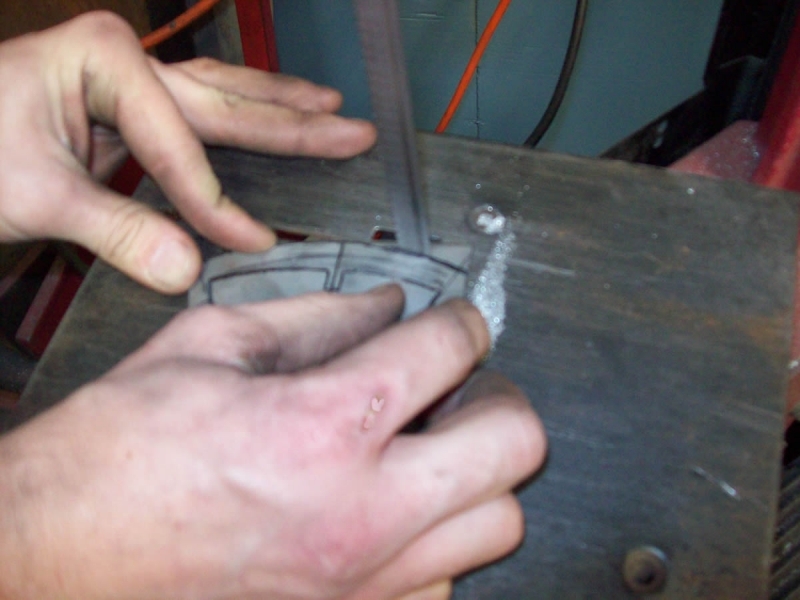 However, the gauge bezel was deteriorated and warped. The upper door panels were faded, and the console was in need of repairs. We put together the cure plan to resolve this Camaro’s problems. First, we would deal with the suspension issue. 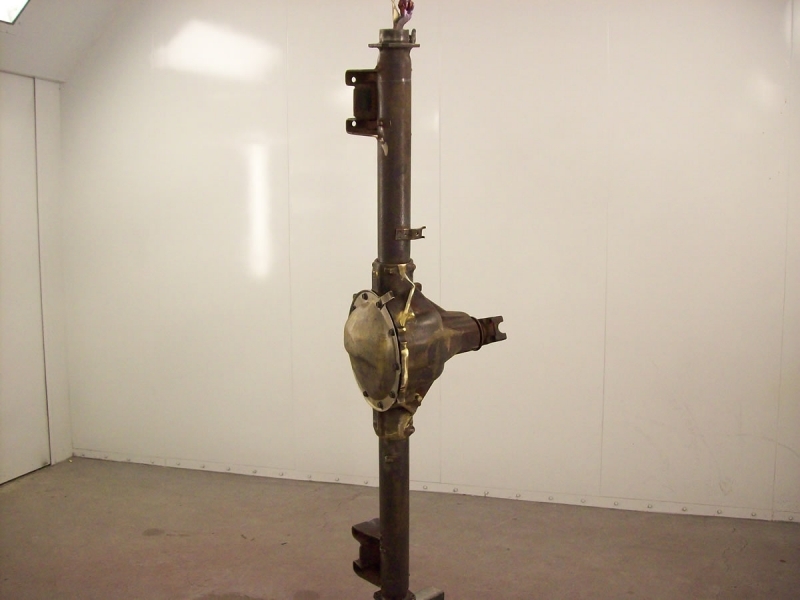 The front suspension was set up some time back with coil over shocks and the removal of the factory coil springs. The coil overs were adjusted down apparently to match the ride height of a set of worn out leaf springs in the rear. 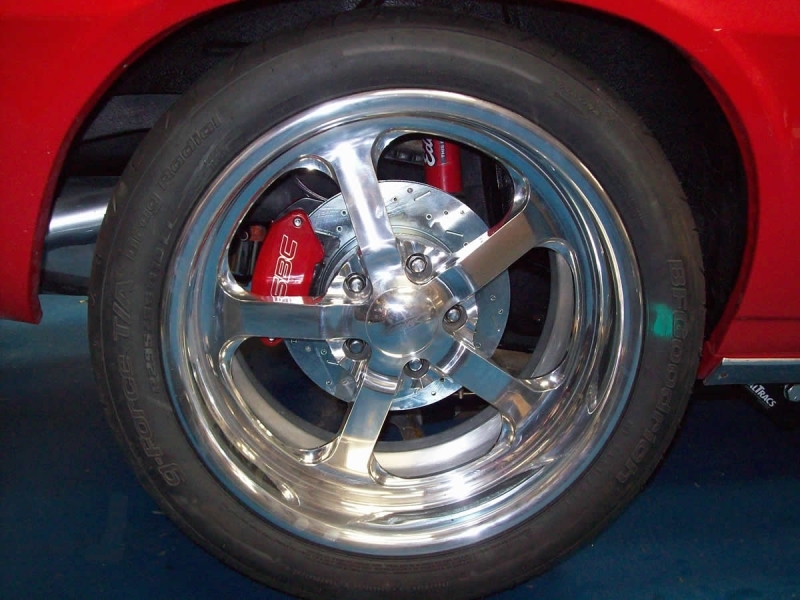 When we ordered a custom four-wheel disc brake kit from Stainless Steel Brake Corp. ( SSBC ), we opted for a 2” drop spindle in the front which allowed us to introduce suspension travel back into the front end and keep the lowered vehicle stance the customer wanted to retain. 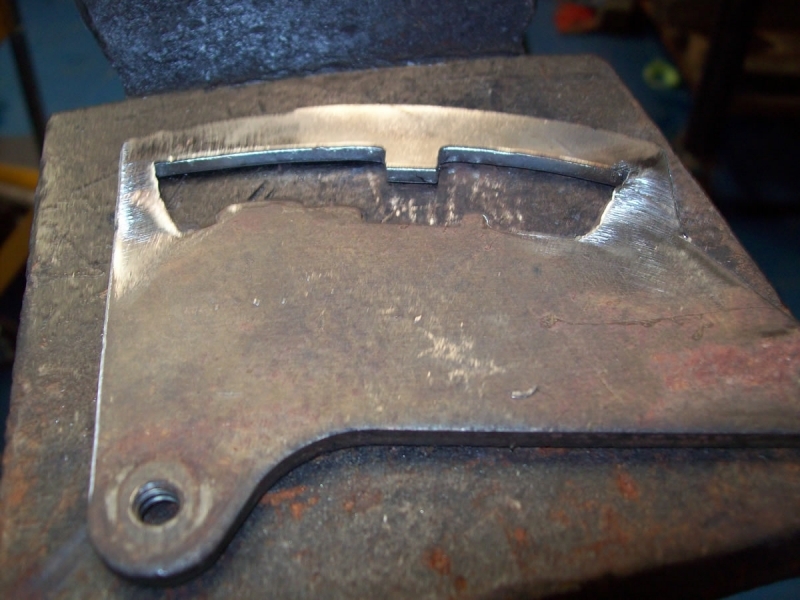 The rear suspension consisted of a set of collapsed mono leaf springs. 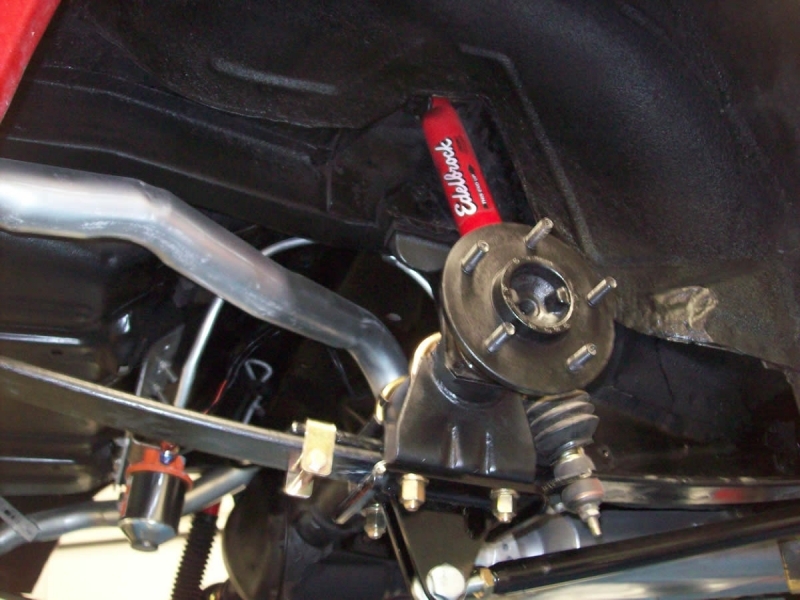 The cure for traction would be a set of Cal–Trac split 2” lowering mono leafs and their famous adjustable Cal-Trac Bars. 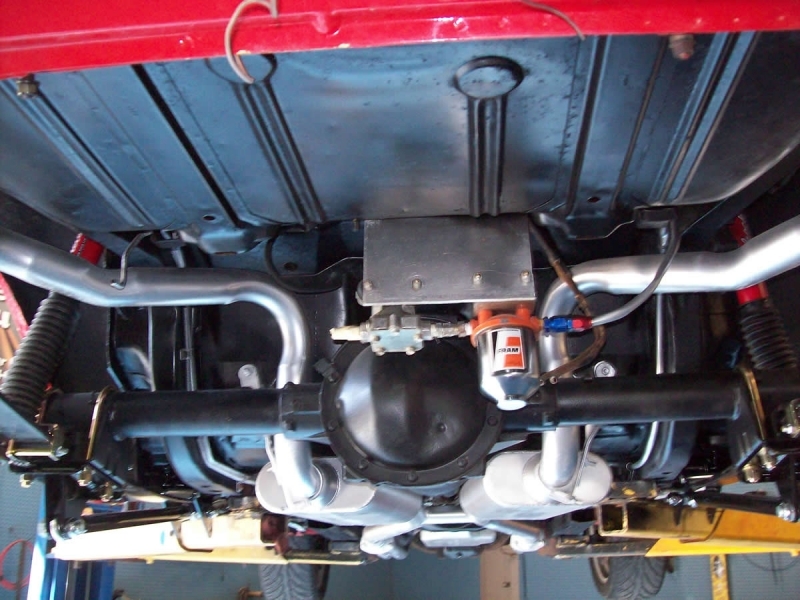 With our new suspension upgrades, we now had the original ride height but with a functional, tunable suspension. With a new set of B.F. Goodrich drag radials and a few hot passes in the parking lot we had a car that hooks up horsepower and shoots a straight line. Another driveability issue with this Camaro was the shifter. 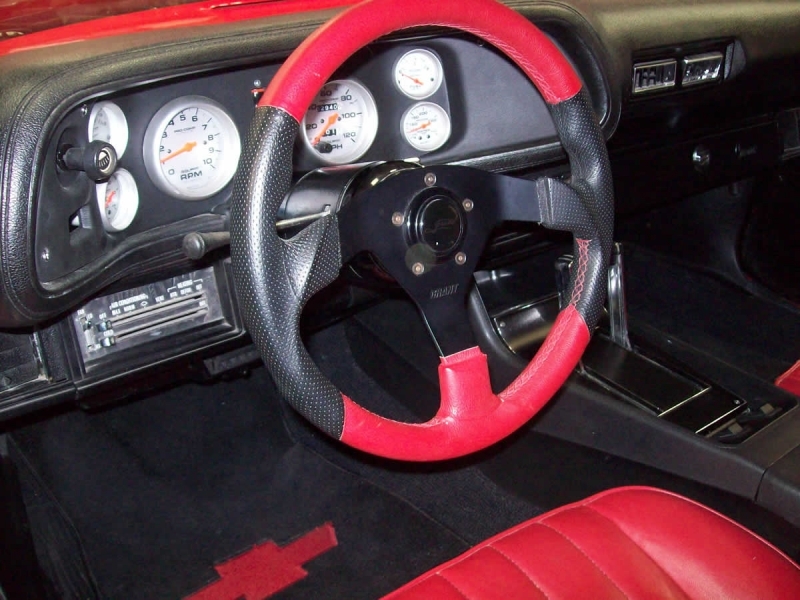 The factory shifter and console were key parts of this car’s interior. The cable and bracket were mangled, and the shift indicator on the dash was not functioning. We installed a new cable bracket and built a shift gate which would allow for positive shifts from 1st to 2nd and 2nd to 3rd. 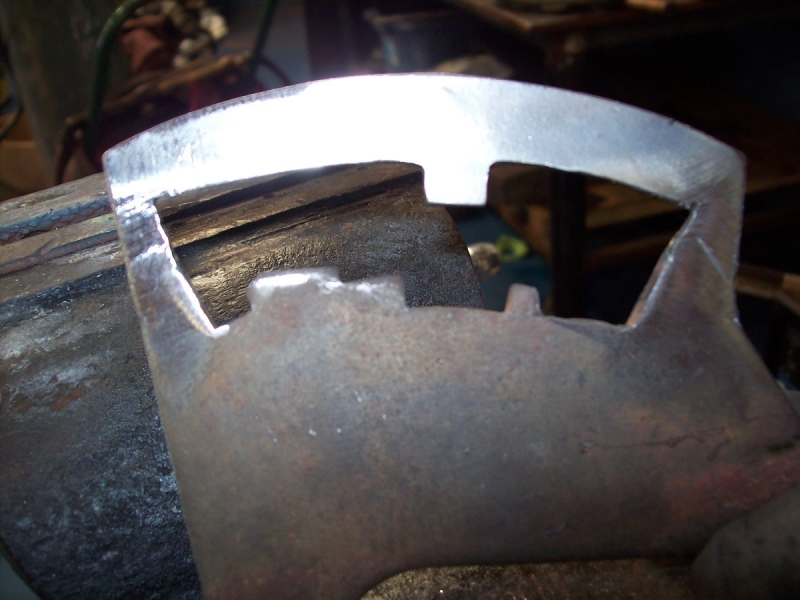 By simply rocking the shifter forward it will now only shift to second gear. Holding up on the shifter release button the shifter will only rock forward to third gear. Suspension on travel, traction, and manual shifts turned this car into a tiger. 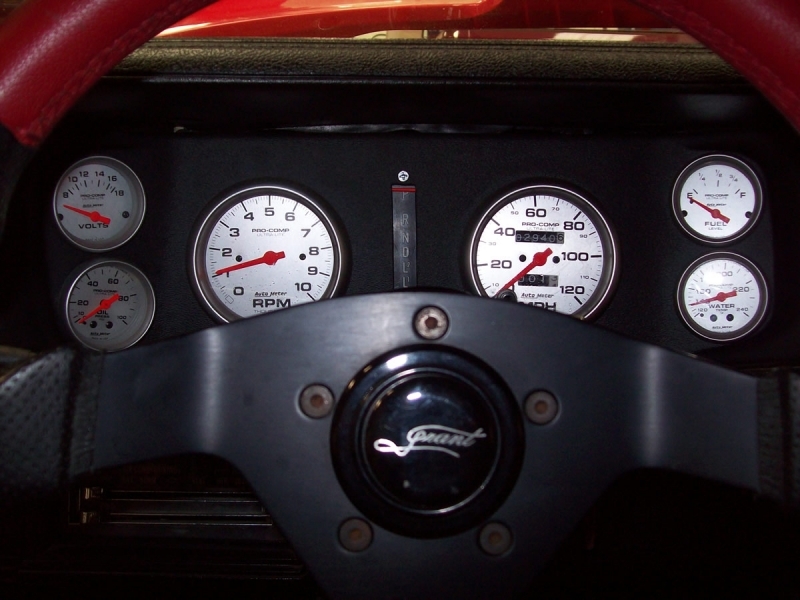 The shift indicator was missing important parts which we believe disappeared with the original instrument cluster. 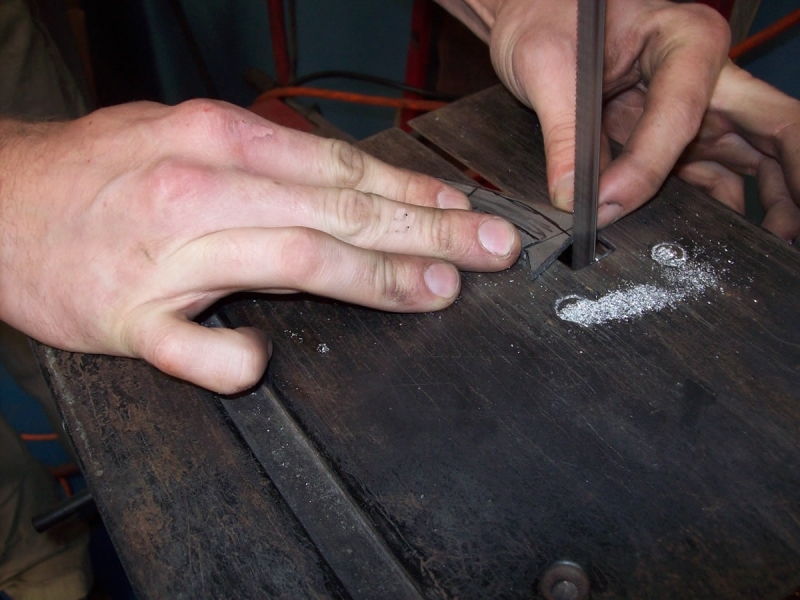 We fabricated a drum with a cable wrapped around it to make the indicator function again. 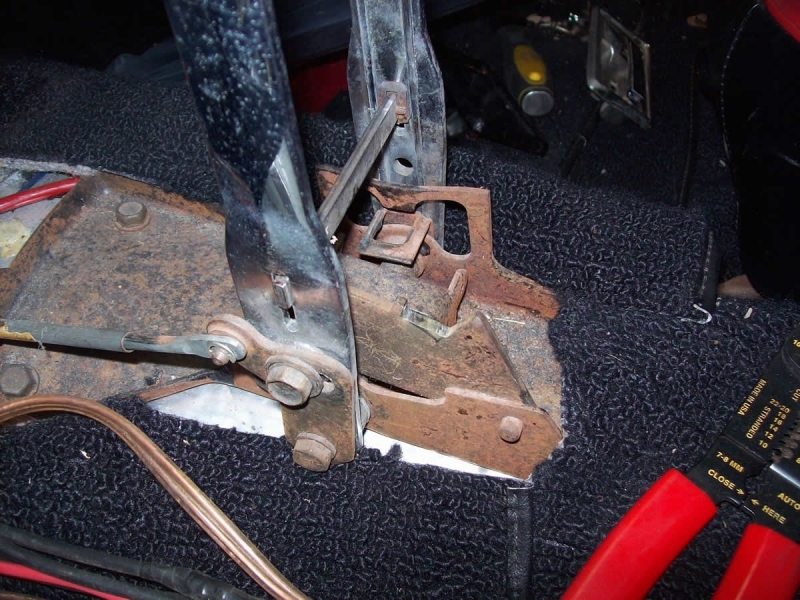 Other interior repairs included a replacement gauge bezel, door panel tops and new set of seat belts. 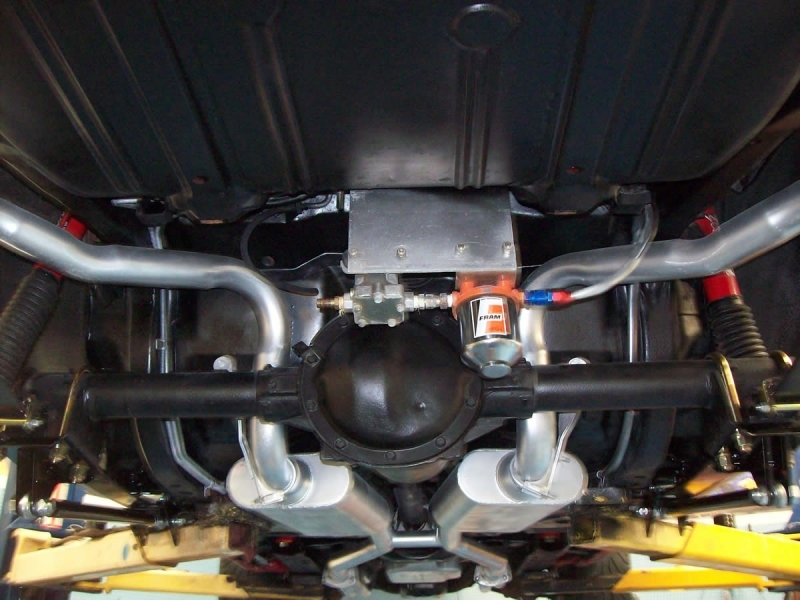 We detailed the engine compartment by cleaning up the intake manifold and installing a new set of valve covers. The endure bumper was replaced on the front of the car, the rims were polished, and our 72 Camaro was back on the street with a fresh perspective.